"Start here and go there, but my best guess is, you'll know home when you see it. " "Whole mountain knows the legend. A family raisin' the Devil's daughter. Keepin her hid away. Course that's just legend. Never knew it was true." But it was true, not the "devil's daughter" part, but the part about being hidden away all of her life. Lochiel Ogle had been snatched from the arms of the one person who should have been able to love her the most, and handed to one who grew to hate her with a vengeance, . . . . . all because of the "mark". Now running for her life, and having to trust total strangers, Lochiel must make a choice, " Angry? Bitter? Or will (she) be better than that?" 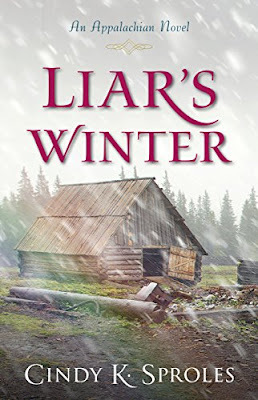 Temporarily sheltered from her brother, who wants nothing more than to have Lochiel's blood on his hands, Lochiel struggles to accept the truth of her circumstances; while cautiously accepting the kindness of an old woman and placing her trust in a man who seems determined to lead her heart towards home. "And now abideth faith, hope and charity, these three; but the greatest of these is charity. . . . . . . I choose love." This is an absolutely amazing story, written by quite a talented story teller. 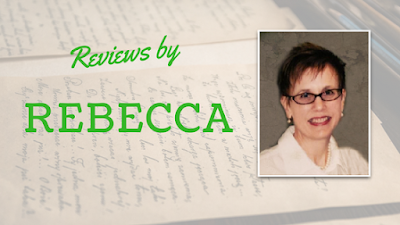 *I purchased this story and was under no obligation to review it or provide a positive review. Abused and abandoned by the only people she knows as family, Lochiel is rescued by a peddler and given the first glimpse of love she has ever known. The truth of her past is gradually revealed as is the fact that she is still hunted by a brother driven to see her dead. Unsure if there's anyone she can truly trust, Lochiel is faced with a series of choices: Will she continue to run for escape or will she face her past and accept the heartbreaking secrets it reveals? Which will truly free her? I'm really intrigued by this one! Thanks so much for bringing it to the Inkwell, Rebecca!